FORMAL BAR HEIGHT SEAT FOR COCKTAIL TABLES AT WEDDINGS, BANQUETS, VIP SEATING AND OTHER FORMAL EVENTS. INCLUDES A WHITE, HUNTER OR IVORY CUSHION. BAR STOOL IS NON FOLDING AND SITS 30" FROM THE FLOOR. 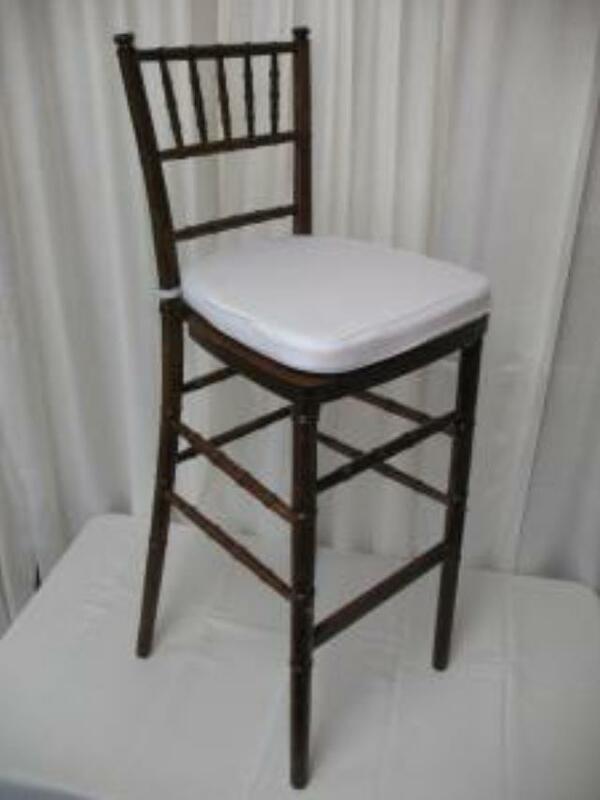 * Please call us with any questions about our bar stool chiavari fruitwood rental in Baltimore Metro area.